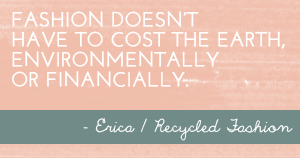 You may remember this previous blog post highlighting Perth Fashion Festival's 'Photo-A-Day Opshop Challenge' Restyle 2013, an initiative to promote second hand and recycled fashion via social media. 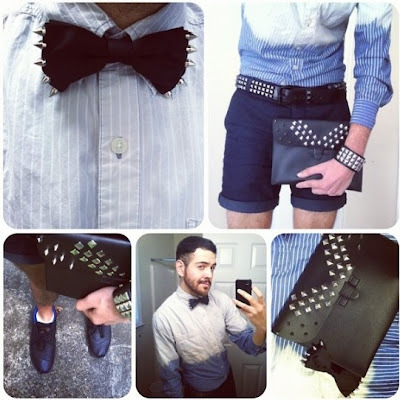 The initiative inspires active members on social media to take part in daily prompts to share thrifty outfits on twitter, facebook, blogs and instagram with the hashtag #restyle2013. I have been following and enjoying #restyle2013 in my instagram feed, feeling inspired and enthused by individuals sharing their second hand fashion style, finds and outfits with prompts such as 'pink, polka dots, white shirts, mixed prints' (the full list of prompts can be found here). 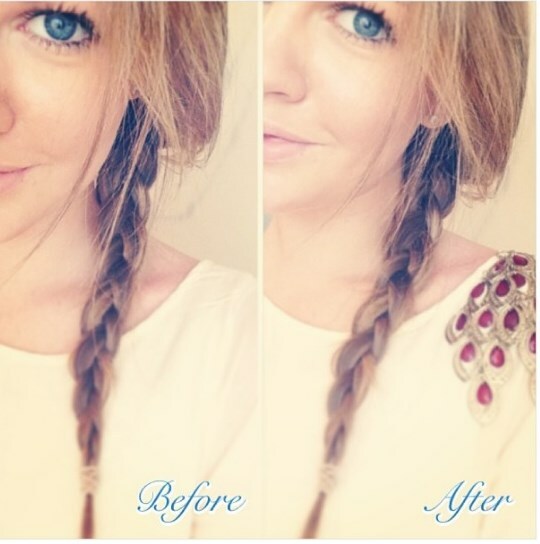 Katiee_louise18 bejewelled her shoulders by hand stitching $1 op shopped earrings onto a top. 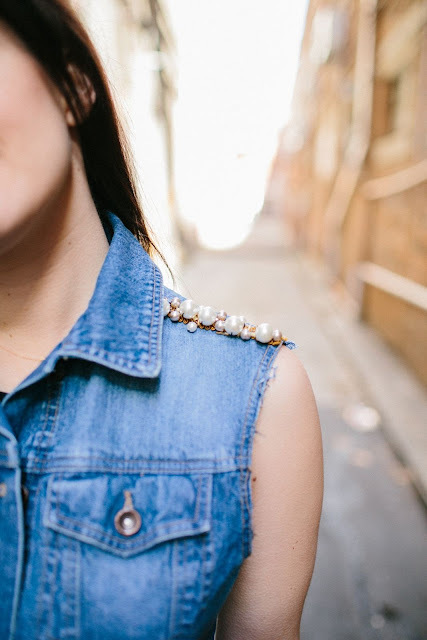 Brighita customises her op shopped denim vest by hand sewing beads onto each shoulder. Also seen on her blog. 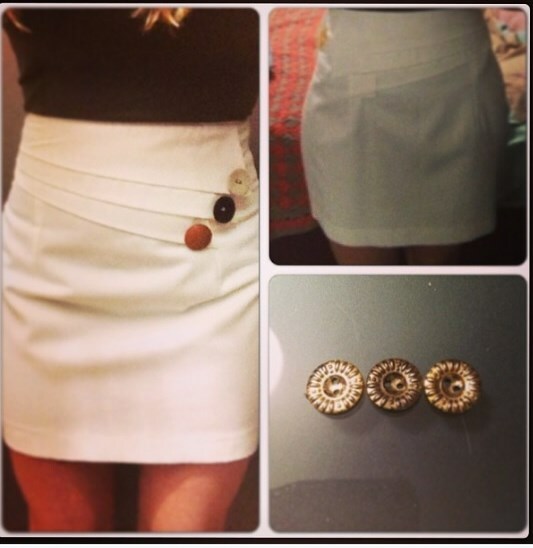 leela_harris removed gold buttons from skirt, replacing with funky ones, all from the op shop. Atlanta based iruisu shares his ombre bleached dress shirt matched with his studded and spiked accessories. All customisations shown here have not used a sewing machine, inspiring anyone with a little imagination and creativity to give it a go. 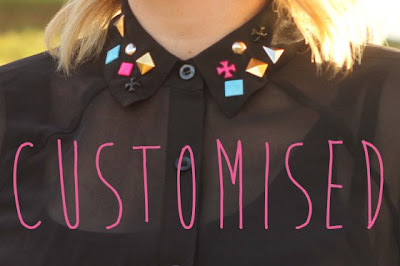 Customising, refashioning, restyling or upcycling; call it what you will, even the smallest alteration can make the biggest difference. 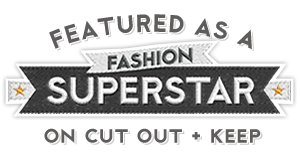 A reminder, that due to the instantaneous global reach of social media, Perth Fashion Festival's August Restyle challenge need not begin and end in Western Australia, anyone around the world can take part. More details about the Photo-A-Day Opshop Challenge can be found here. It's funny, in the 80's I bought a beader and added rhinestones and beads to my parachute pants...I was so cool. Funny how old is new again. I really wish I'd saved all the items I added beading to.